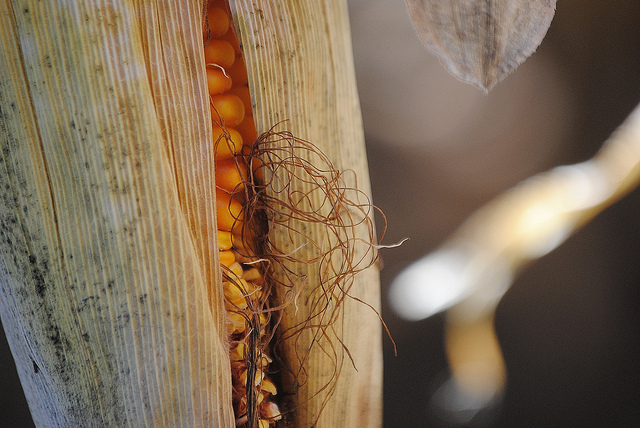 EU member states have finally agreed on a European law for the authorisation process of GMOs. This decision, which has been in the pipeline for years, has come under fire from French ecologists. EURACTIV France reports. EU member states have agreed on the sensitive issue of genetically modified organisms (GMO), opting for greater national control over authorising or bannning GMO cultivation. During an Environment Council meeting in Luxembourg on 12 June, the 28 EU ministers agreed on a policy allowing national governments to ban or restrict GMO within the whole or part of their borders. A report will be presented at the European Commission on the use and efficiency of the directive after the four years of implementation. The Council’s decision is the first step towards reforming the authorisation process of GMOs, which has divided European opinion for years. Up until now, decisions on the authorisation of GMOs were taken by the European Commission, because member states could not agree by a qualified majority on the issue. Countries like France, which are adamantly opposed to GMOs, have agreed with pro-GMO countries like Spain and the UK. As the countries could not find a consensus, the EU Commission authorised the use of GMOs. This was also granted under the advice of the European Food Safety Authority (EFSA), and aimed to prevent run-ins with the European Court of Justice. In response to the Commission’s choice, anti-GMO countries took national measures to ban them, which were incompatible with EU rules. The political agreement is good news for the French government, which has been calling for Brussels to bring about reforms for months. In February, Stéphane Le Foll, the French Minister of Agriculture, submitted a proposal to his European counterparts aimed at increasing national control of the GMO authorisation processes. This offensive was launched just days after France failed to prevent Brussels from approving genetically modified corn called TC 1507. “The agreement is the result of months of debates in which France strived for member states to have more power in GMO authorisation processes, and also to increase the judicial security of state decisions if they choose to oppose the cultivation of GMOs,” said the French government in a communiqué. Although the agreement ends the deadlock, “renationalisation” of GMO-related decision-making was not a unanimous decision. “The French government, by accepting this proposal on the authorisation of GMO cultivation instead of being fervent opposition to GMOs, has allowed European fields to cultivate genetically engineered crops,” said the French delegation for the European Greens in a press release. According to the Greens, the agreement undermines European norms. “From now on, multinational biotechnology companies will discuss directly with states and negotiate the conditions of putting their products on the market,” added the delegation. “Accepting the possibility of banning GMOs on such a fragile basis is a fool’s bargain and leaves the door open for contaminating European agriculture,” said Corine Lepage, an outgoing French MEP. Not all the dye has been cast, though. The Council’s agreement must be officially adopted so that negotiations can commence with the newly-elected European Parliament, which will have to vote on the proposal. "This response to the legitimate expectations of European citizens and member states to have a more flexible framework on issues regarding the cultivation of GMOs has been welcomed by the European Union. It agrees on many points agreed on by the European Parliament. It should facilitate dialog between the Council and the European Parliament with the goal of adopting a new directive," declared Ségolène Royal, French Minister for Ecology, Sustainable Development and Energy, and Stéphane Le Foll, French Minister for Agriculture, in a joint statement. "The Council's text does not give a solid judicial basis to realistically ban GMOs. It gives biotechnology companies a tremendous influence in the decision-making process," said Corinne Lepage, outgoing MEP. "It clearly carries the brand mark of the British government, which acted as industry lobbyist on the issue. The British press proves this," she added. "Accepting the possibility of banning GMOs on such a fragile basis is a fool's bargain and leaves the door open for the contamination of European agriculture," said Corine Lepage, an outgoing French MEP. As the Parliament proposed, the member states will be able to ban GMOs for environmental reasons or when the data provided by the companies is insufficient. Notably, the Commission and member states will not be able to overcome a lack of data on the evaluation of risks and opposing interests at the heart of the EFSA," she said. "I am happy to say that the Council has ended the deadlock on GMO cultivation with a political agreement. It offers a new judicial basis allowing member states to restrict or ban GMOs within their borders. Today's political agreement answers member states' demands since 2009 for greater flexibility and more judicial security for their decisions," said Tonio Borg, EU Commissioner for Health. "The government is playing the game of intra-communitarian distortion, which bolsters inequalities between European farmers. French farmers will once more have to deal with the consequences being outbid in the name of the environment. Better Europe does not mean less Europe. Through this subsidiarity, at a time when biotechnologies can bring a real perspective to sustainable agriculture and foodstuffs, France has chosen to increase coercive immobilisation" stated the French National Federation of agricultural syndicates (FNSEA). "This new European regulation governing the cultivation of genetically modified crops (GMOs) establishes the fact that authorisations of GMOs will not be taken based purely on scientific criteria but also depending on the political and ideological options of governments in each country: this has been the case in France for a long time," said the French Association for Biotechnology Vegetables (AFBV). "This regulation will prevent the French government from using science and undermine evaluation of GMOs to justify contested judicial processes to ban GMO cultivation." The European Commission proposed allowing national cultivation bans for GMOs in July 2010, in a bid to break a deadlock in EU GM crop approvals which has seen few varieties approved for cultivation in more than 12 years. The proposal, however, has been subject to bitter divisions between EU member states and the proposal remains blocked. France is opposed. GMO is a poison. Eating genetically modified corn (GM corn) and consuming trace levels of Monsanto’s Roundup chemical fertilizer caused rats to develop horrifying tumors, widespread organ damage, and premature death. rats exposed to even the smallest amounts, “developed mammary tumors and severe liver and kidney damage as early as four months in males, and seven months for females.” The animals on the GM diet suffered mammary tumors, as well as severe liver and kidney damage. Everywhere GMO is being grown, food allergies, disorders such as autism, reproductive disorders, digestive problems, and others have been skyrocketing in the human populations. GMOs increase herbicide use. Most GM crops are engineered to be “herbicide tolerant”?surviving deadly weed killers. Monsanto, for example, sells Roundup Ready crops, designed to survive applications of their Roundup herbicide. Between 1996 and 2008, US farmers sprayed an extra 383 million pounds of herbicide on GMOs. Overuse of Roundup results in “superweeds,” resistant to the herbicide. This is causing farmers to use even more toxic herbicides every year. Not only does this create environmental harm, GM foods contain higher residues of toxic herbicides. Roundup, for example, is linked with sterility, hormone disruption, birth defects, and cancer.